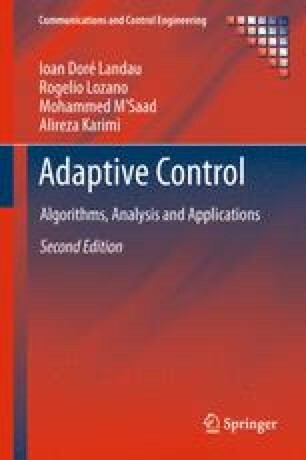 Plant model identification in open loop is a preliminary step for building an adaptive control system. Using the parameter adaptation algorithms presented in Chaps. 3 and 4 as well as the predictor structures presented in Chap. 2, one can develop recursive identification methods. The chapter presents a number of recursive identification methods and the associated model validation techniques. The problems of input design and model order selection are also addressed. The methodology is illustrated by the identification of a flexible transmission.